Some northern chiefs were unhappy that British control undermined their traditional authority. They were also dissatisfied with the loss of commercial activity after the capital moved from Okiato to Auckland in 1841. Hōne Heke challenged British sovereignty from 1844 and war broke out in 1845. 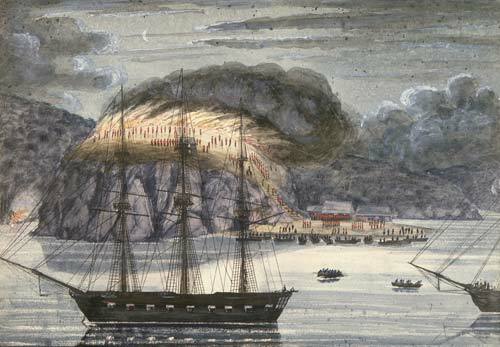 This watercolour shows the destruction by British forces of a pā belonging to Pōmare II at Ōtuihu in the Bay of Islands. Pōmare was a largely innocent bystander in the dispute.